God bless them. Harry Caray, Jack Brickhouse and Lou Boudreau just rolled over in their graves. WGN Radio will no longer broadcast the Chicago Cubs. This is big. I speak from experience few people in the radio industry have. I am one of the few who has managed and programmed a station that is a legacy, a “clear channel station” (back when that meant something different), three call letters and a Major League Baseball rights holder. WGN Radio broadcast the Chicago Cubs for as long as anyone can remember, dating back to October 1, 1924, excluding a few years during those many decades. Years ago their annual summer affiliate weekend was fabulous. They would bring in people from small market affiliate stations and treat them like kings. Two nights for two with spouses at the Hyatt Regency on the Chicago River, tickets to game at Wrigley Field and Saturday night a wonderful cocktail party with a meet and greet. The highlight was when Harry Caray arrived…late. That’s where I found out Harry Caray didn’t drink beer. No “Cub Fan – Bud Man” for him. Top shelf liquor all the way. One year, as Harry was making his way around a crowded room banquet room complete with open bars and carvings stations, a room filled with the stars of WGN Radio, he made his way over to my first wife and me. She had no idea who he was. 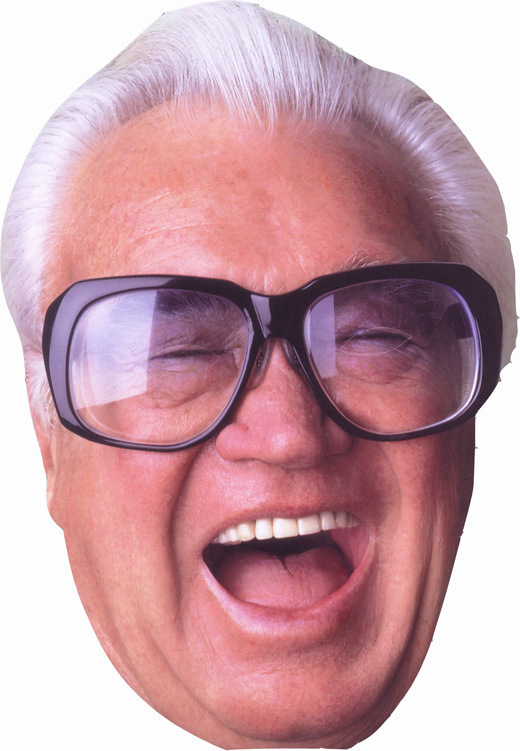 Nervous and stuttering, I introduced Caroline to “Harry Caray.” Without warning he kissed her square on the lips. She was taken aback and said to me, “Who the hell is Harry Caray?” I explained, but she didn’t care…until…a few weeks later when she told her sister about the smooch. Her sister, who lived in Houston, watched Harry and the Cubs via WGN-TV on cable. Her sister…in awe…said, “You met Harry Caray? He kissed you? How cool.” The wife changed her tune after that. Later that same night I sat at the big bar in the hotel’s lobby throwing back a few with legendary Chicago radio newsman Lyle Dean. We looked out the huge window over the Chicago River at the Tribune Tower, which houses WGN Radio. WGN was the tiffany of radio stations back then. The Cubs were the heart that drove WGN. WGN was the heart that drove the pathetic Cubs, a soundtrack for long suffering Cubs’ fans. A few years ago, contract talks between the Cincinnati Reds and 700WLW weren’t going very well. I’ll admit now I made a telephone call. The call was to a Reds’ executive I had a good relationship with and one involved in the negotiations. I’d like to think that conversation made a difference. I don’t know. But, shortly thereafter the issues were resolved. Strategic partnerships are important. Long-term strategic partnerships, like ones dating back to 1924, are irreplaceable. The Cardinals found this out when they left KMOX a few years ago only to return. And KMOX found out the value the Cardinals brought to the radio station. The Chicago Cubs are leaving WGN Radio and moving to WBBM starting in 2015. WGN will find, just as KMOX did, the Cubs no matter how bad are the heart beating blood through the arteries and veins of Radio 720. They bring a new and exclusive audience to the station each spring and summer. Put another way, the Cubs are a 6-month a year, multi million dollar advertising campaign for their radio partner. When the Cardinals left KMOX, the ratings dropped and their audience grew older. The same will happen to WGN. The same would happen to 700WLW. I get the business side of this new agreement. WGN Radio, a stand-alone station, cannot complete against the cluster of CBS radio stations, owners of WBBM. It’s been reported WGN has been losing $3 to $4 million a season with Cubs. Getting rid of the Cubs will immediately drive up their cash flow and profitability. It makes total sense on the ledger. An “insider” I know with knowledge of this new deal told me it’s worth around $70 million dollars over 7-years. $10 million a year in rights fees. Taking the rights fee and costs incurred with sales and production, the break even for CBS will be somewhere in the range of $14-$15 million annually. Doable? Possibly. I’d guess the actual game broadcasts will be a loss, though. What the CBS Chicago station cluster has is other stations beside WBBM, seven other stations to be exact. Stations that will promote and “sell” the Cubs in a way WGN Radio with its one station can’t. This is where they will make up money lost on the actual game broadcasts. Part of this new deal includes promotion for the Cubs on all the CBS Radio stations and rights to live events and concerts at Wrigley Field. In the radio world this is called “NTR” or non-traditional revenue, new revenues that CBS Chicago will realize. For the Cubs, they get promotion of their product on news, sports, country, Top40, Rock and Classic Hits stations and each station’s reach on their various digital platforms.